Today, we are told that lawyers need to shift and expand their roles from warriors to conflict resolvers. In fact, conflict resolution skills are not only necessary for lawyers, but they are needed as part of our basic tool box as social human beings. 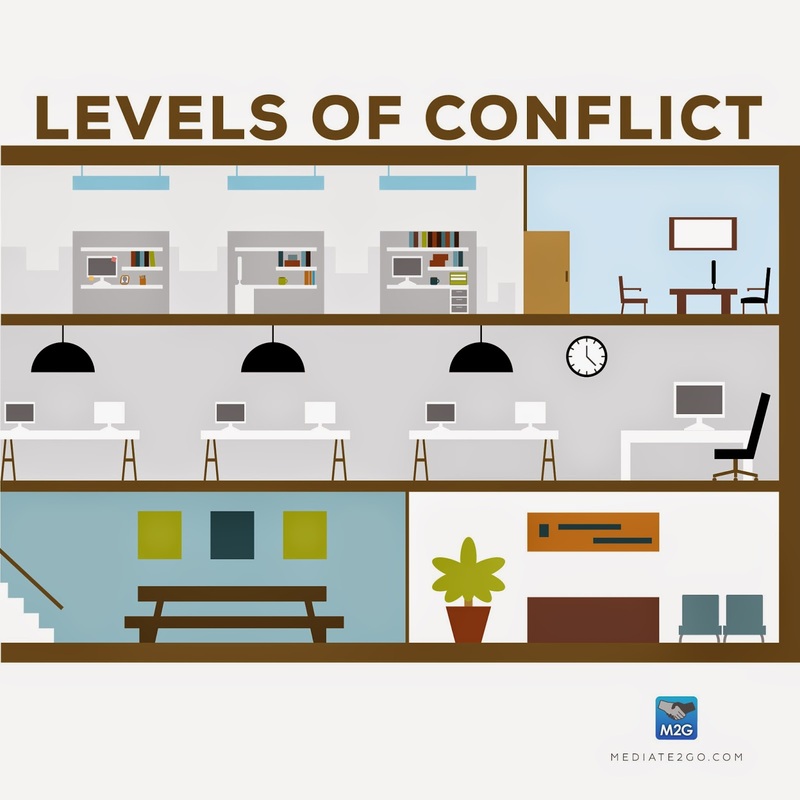 Conflicts are part of our daily life, whether it be at work, in our families, our institutions, our social circles, or at school. So why not learn those skills from an early age? One interesting way to do this is through peer mediation programs in schools. 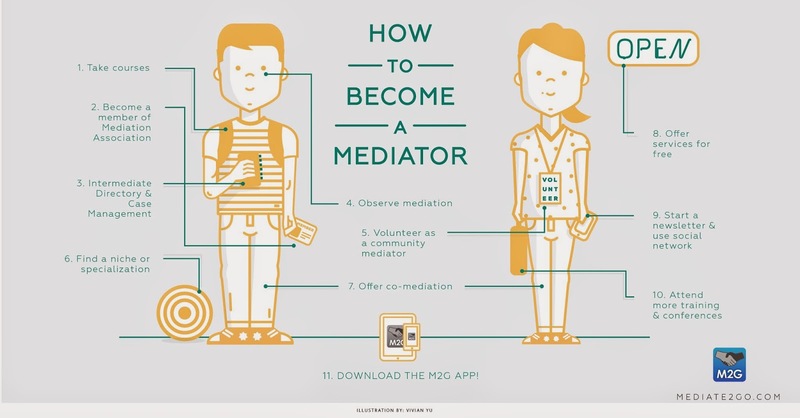 Start your own peer mediation program with Mediate2go.com. It only takes minutes to get your customized directory page listed, and case management system in place. With a bit of training, you can help improve community and school relations with peer mediation. Programs for peer mediation in schools started appearing in the United States in the 1970s and are now quite widespread. In Canada, several programs exist as well by now. One notable example is the project by Institut Pacifique in Quebec. This community-based organization offers schools with a turnkey program, which includes materials, guides and initial training for teachers and follow-up support in order to implement their program, called Vers le Pacifique. The program is aimed at preschool and primary school levels, and it consists of two steps. Before implementing the peer-mediation program per say, the first step requires the school to offer conflict resolution workshops to the whole student body, in order to educate and develop the awareness of all students to peaceful methods of conflict resolution. Those workshops are given over a full school year. During the second year of the program, the peer-mediation program is implemented. Students from grades four to six are chosen according to a well-crafted process to be trained as mediators, and they rotate to act as mediators in the school yard for minor conflicts between their peers. This program by Institut Pacifique was the object of longitudinal studies by professors at the University of Montreal. Those studies found that after two years of implementation, the students exposed to the program developed improved sociocognitive abilities such as managing emotions, identifying the causes of a conflict and proposing solutions. After three years of implementation, a significant decrease in aggressive behaviour on the part of students was observed. Constant efforts to promote and support the program are needed, however, for the impacts to last through time. It is important to note that these programs do not just aim to teach skills and techniques; they help build a positive vision of conflicts. Children learn to use dialogue as an alternative to aggressive behaviour or passivity in the face of disputes, and they also experience the positive impacts that can come from this dialogue and collaboration. Accepting conflicts as part of the human experience and harnessing them in a constructive way is a challenge that we must all step up to. 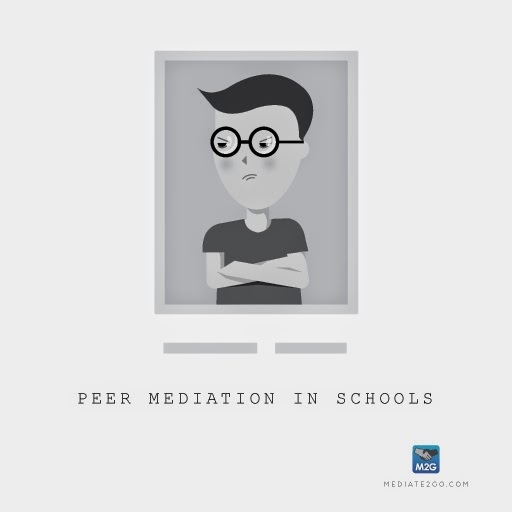 Did you experience peer mediation in your school growing up? Does your children’s school offer such program? If not, why not look into which local organisation could offer it in your area? Note: A review of school mediation programs in Québec was published as part of a collection of articles on the intersection of mediation and youth published in Europe. 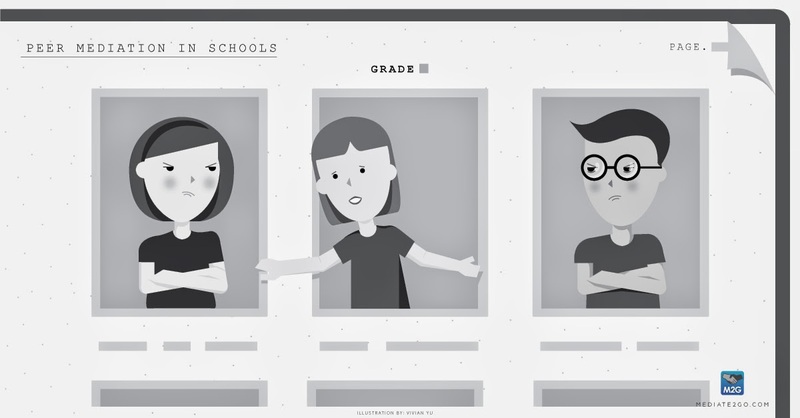 Full reference: « La médiation en milieu scolaire au Québec : un portrait », dans Médiation et Jeunesse, Mineurs et médiations familiales, scolaires et pénales en pays francophones, sous la direction de Jean Mirimanoff, Belgique, Larcier, 2013. Léa Préfontaine holds a bachelor in civil law and common law from McGill University. Prior to her legal studies, she also completed a bachelor in business and a masters in economics. She will be an articling student at the Protecteur du citoyen (Québec Ombudsman) starting in June 2014. Léa is passionnate about dispute resolution and access to justice. In order to understand each other more efficiently, it's important to develop good comunication skills. I found this tecniques really useful for any type of people, in every scale of power. skills like listening, empathy, acknowledging others feelings and becoming a conflict manager can help us to increase people trust on us as a persona but beyond that on us as leaders on dificult situations. it's a fact, start in early ages is more likely that people it's going to be more aware of their reactions. What about translating and comunicating this skills to people on 17-20 years old? how challenging that could be? Thank you for sharing your comments here. Maybe the goal of mediation is to eventually no longer need mediators! One of the most important factors contributing to the ongoing success of the program is administrative and institutional support.